Today I have a vapid question and a comment that will probably get me into trouble with my more politically-correct readers. I'll air my thoughts anyway because, heck, why not. It's a blog, not the lead story in the New York Times. Is journalism simply a form of storytelling? If it is -- and I've heard it defined this way increasingly in recent times -- then what makes it different to art besides the fact that it's based on "real" events as opposed to fictional ones? And even that's a slippery way of distinguishing between journalism and art, because a lot of art is based on real events. Can anyone out there set me straight? Without necessarily being conscious of doing so, we often attribute race categorizations in this country to different types of art. I've been thinking about this tendency since stumbling upon a couple of ad hoc musical experiences while rampaging around New York this past weekend. The first involved an African-American busker in the subway. He was playing and singing a song by Coldplay. The second involved a vocal, drum and guitar trio consisting of a bunch of Caucasian Frenchmen. They were playing reggae music. 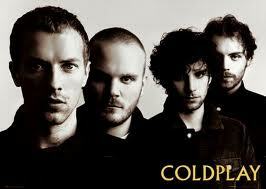 Most people would label Coldplay as a "white boy band." And most people associate reggae music with black culture. The friend I was with during both experiences commented on the "crossover," reflecting exactly what I was thinking. I guess it's idiotic to say this as musicians play all kinds of music from cultures that aren't their own all the time. Yet somehow these two incidents were striking, perhaps because the contrasts were so stark and because my friend and I experienced them in such close proximity to one another. I guess we have biases as listeners that are quite deeply ingrained and subconscious. Hello, my congratulations for showing a perfect games in wwba 15u national championship https://www.linkedin.com/pulse/amazing-people-company-how-find-those-perfect-laura-callisen i think you can win it in next season! Good job guys keep it up!